Holland has spent his entire career with the Rangers, and is hoping to re-sign with them. However, the Pirates have emerged as possibly the favorites to get him, at least according to Holland’s agent. The Yankees and Padres are also in the mix, although that’s something coming with their initiative. Holland is probably going to be getting more offers in the next few days. His career in Texas and his showcase are both strong enough to attract this kind of interest. The Yankees make and don’t make sense. They’re looking to improve their rotation, but adding another injury risk to C.C. Sabathia, Masahiro Tanaka and Michael Pineda might not be the smartest thing in the world. The Yankees have four promising right-handed starters below that in the depth chart, but none of them seem like a sure-shot when it comes to getting one of the five or six rotation spots. Holland could do a good job at the bottom of the rotation, if he stays healthy. The Padres, surprisingly, could be better positioned than most to sign Holland. They have a lot of money to spend, which means they can offer a one-year deal to Holland that no one else will beat. Their current general manager, A.J. Preller, was an assistant GM with the Rangers during Holland’s earlier seasons, including his peak year in 2013. There’s very little to offer in terms of rotation quality for the Padres, so Holland, even with all the question marks around his healthy and ability, would be an upgrade. The Pirates could use Holland considering it’s all very young for them when it comes to starting pitching. Gerrit Cole is the only “old man” in the rotation. The Pirates have a reputation of taking “broken” starting pitchers and fixing them, either to their own use or sending them away via trade or free agency to big paydays. That is why Holland partially sees the Pirates as an ideal landing spot: Very little competition for a rotation spot and a pitching staff that can make him whole again. Holland started in 20 games last season, posting a 4.95 ERA through 107.1 innings, a 1.407 WHIP and 1.91 k/bb ratio. 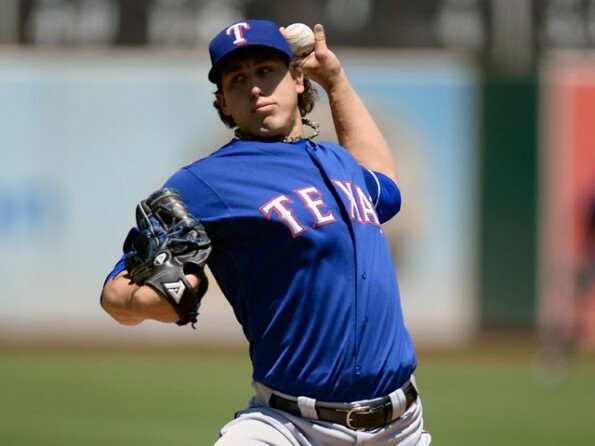 Before his injuries and surgeries he was terrific for the Rangers, peaking in 2013 with 3.42 ERA through 33 starts and 213 innings, striking out 8 batters per nine innings and posting a 2.95 strikeout-to-walk ratio. I’m not sure Holland can be that good again, but somewhere between his ability in 2015-2016 and that would be more than enough for anyone that signs him.